March | 2010 | NOTES ON THE MENU: because everyone loves talking about food. How to make wholemeal bread using fresh baker’s yeast. 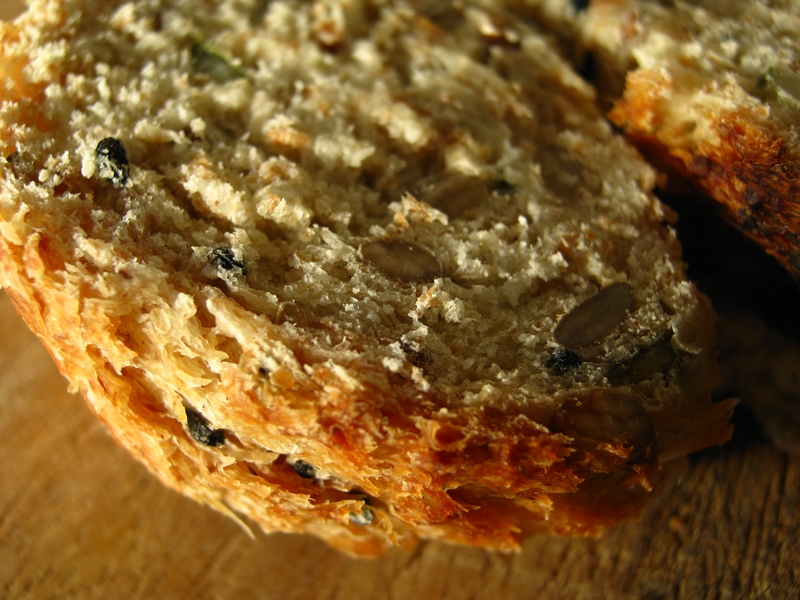 The smell of home made bread baking is a primal food experience. 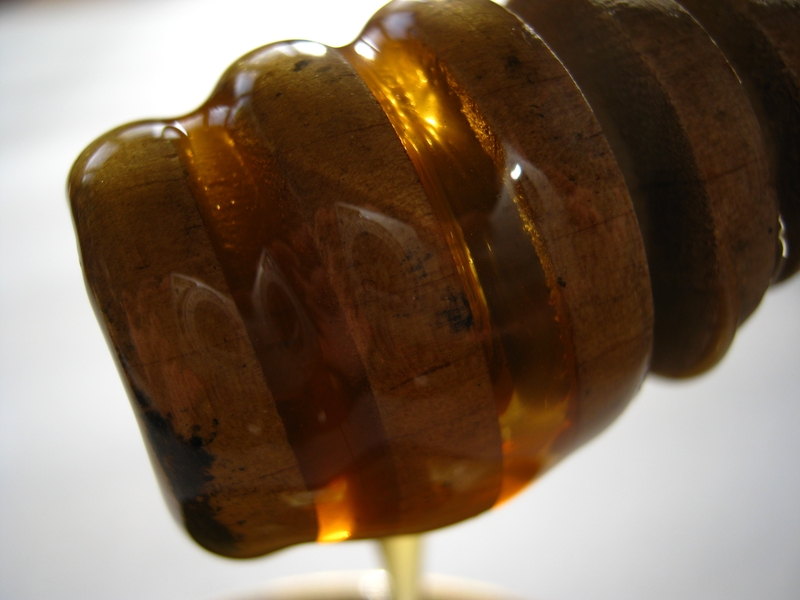 Houmeli: a bee product made by boiling the honeycomb itself. 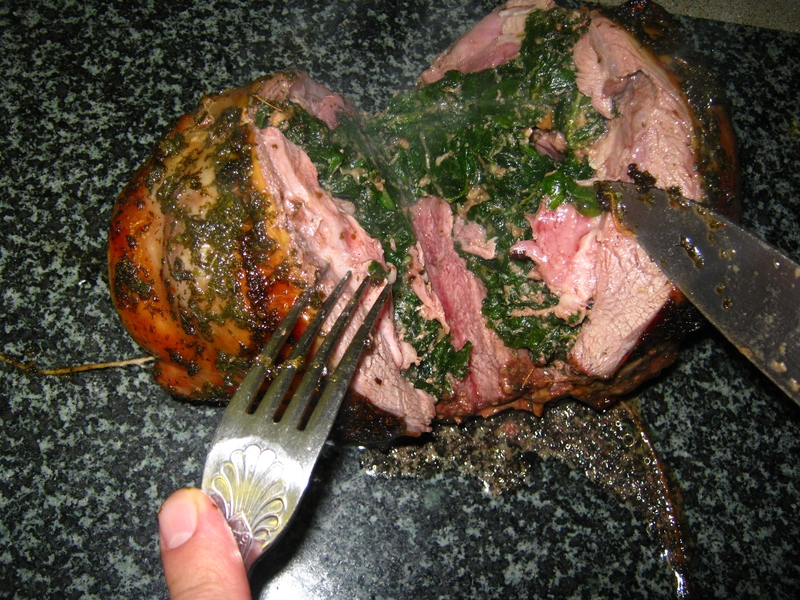 Leg of Lamb stuffed with Baby Spinach & Roast Garlic with a fresh Mint & Honey Glaze. You know when you are sitting in a Chinese restaurant and a waiter or waitress hurries past you carrying a ‘sizzling’ dish? The hot food and sauce hissing and fizzing away, giving off gorgeous aromas? Ever wondered how to make them? I recently spotted a cast iron skillet in Wing Yip supermarket set in a wooden tray of the type used in Chinese restaurants and just had to have it. It was only eight quid, anyway, which is a bargain in my book. But how to cook on them? Do you want to know the secret of how to cook on them? The secret is you don’t cook on them at all. You heat the iron skillet on a gas flame, cook the food seperately and pour it onto the skillet at the last minute. 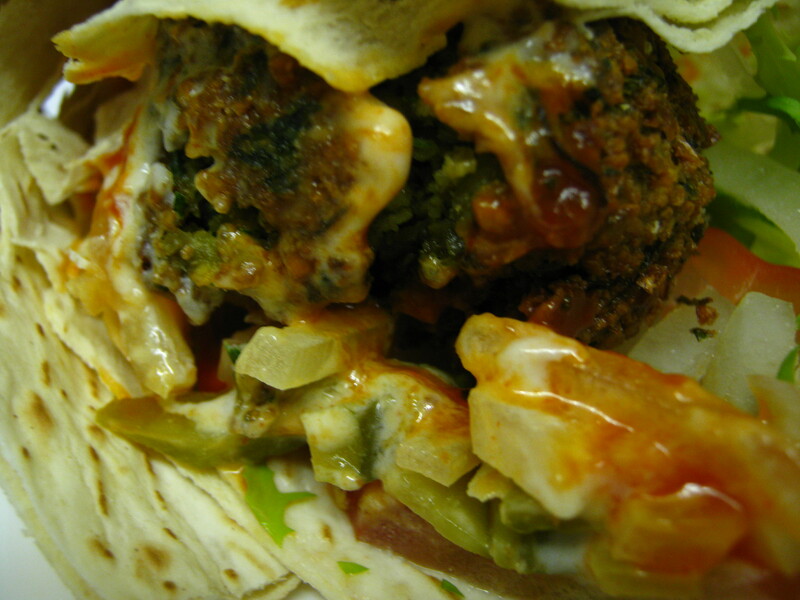 That’s why the afore-mentioned waiters and waitresses are hurrying – to get it to the table before the sizzling stops! That is the basic principle to which you can apply any stir-fried Chinese dish but just for the record, here is one really simple recipe I made using squid. 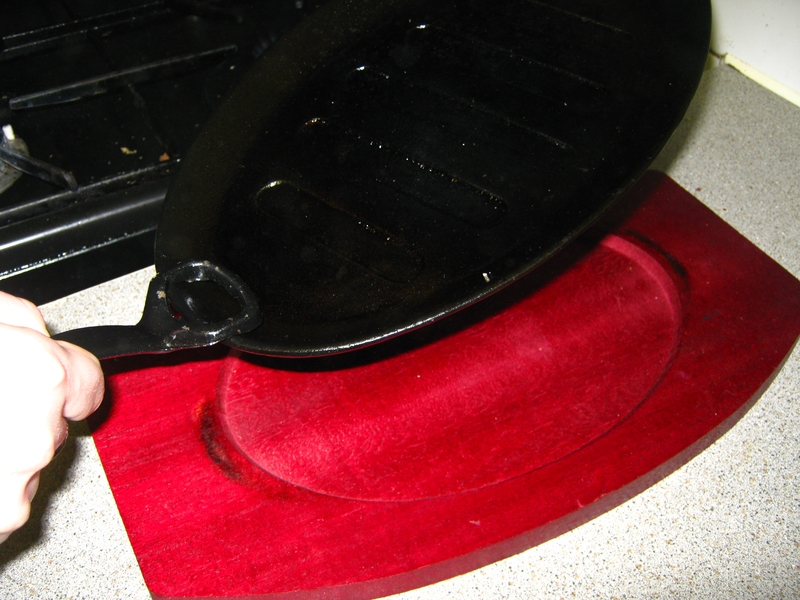 Incidentally, the sizzle pan comes with a cast iron clip-on handle for removing it from the heat and onto the wooden tray – don’t, whatever you do, lose it or your sizzle pan is essentially useless. Clean your squid and pat it dry with a kitchen towel. 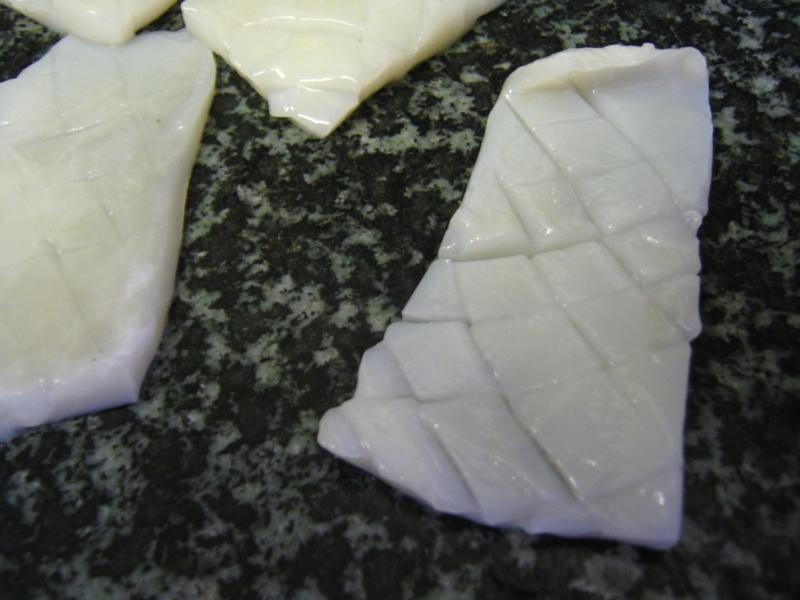 Cut each squid up one side of the tube, score it with the tip of a sharp knife (see photo) and then cut into bite-size pieces. Prepare your onion, chilli and garlic. 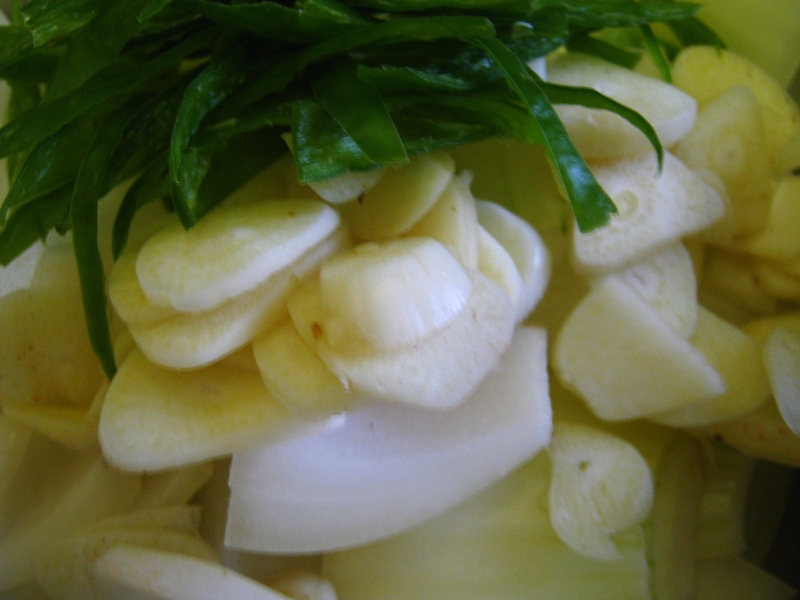 The reason for slicing the garlic rather than crushing or chopping it is that, for purposes of speed, you need to throw everything in at the same time and if the garlic was crushed/chopped it would burn before the onions and chilli were cooked. Place the skillet directly on a gas ring on a medium heat and let it heat up slowly and thoroughly until you can see smoke rising off it and then turn the gas ring down to keep the heat ticking over while you cook the squid. 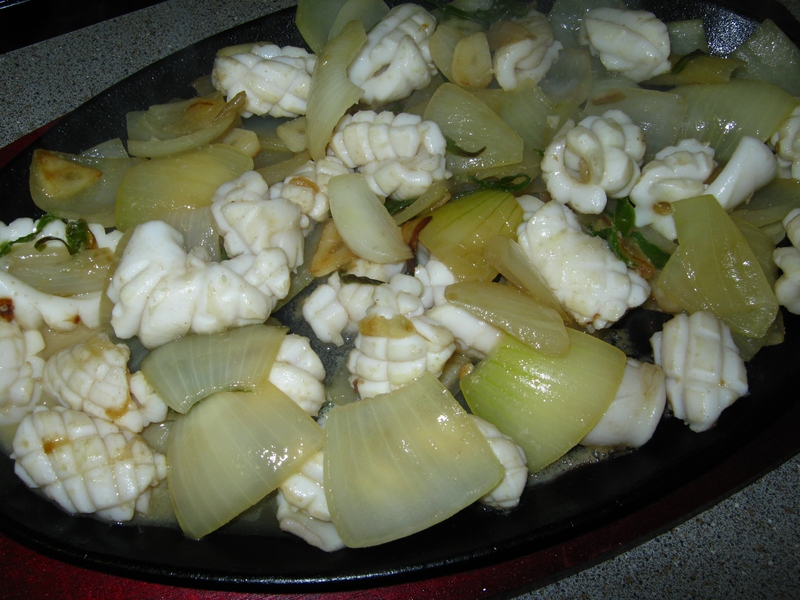 Heat a wok until it smokes, add a couple of tablespoons of light oil and quickly throw in the onions, chilli and garlic. Stir fry for a minute and a half, two minutes until the onions just begin to change texture. Throw in the squid plus a scant 1/2 teaspoon good salt and stir fry until the squid curls up and becomes opaque – no more than sixty seconds. Take it off the heat the second the squid is done and tip it into a large jug. You’ll see why shortly. 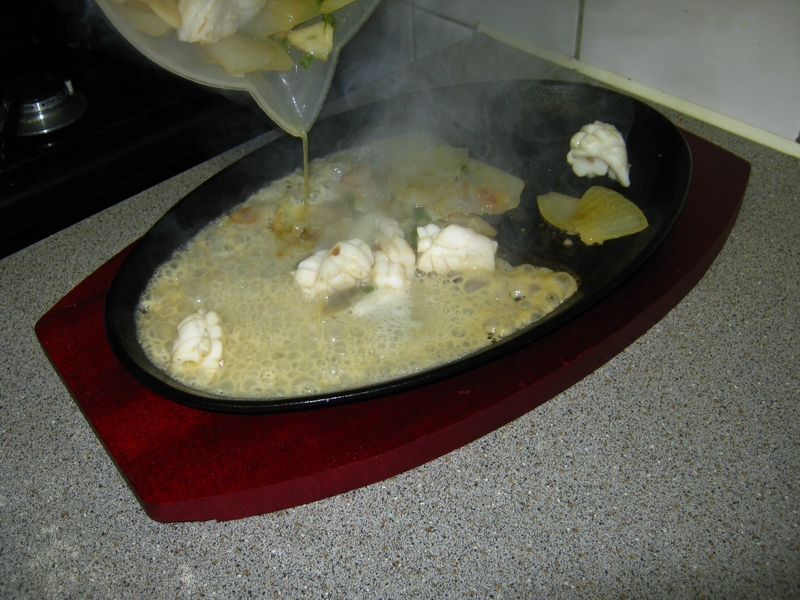 Now, the tricky bit; in quick succession, and using the handle supplied, lift the skillet off the gas ring and onto it’s wooden frame, grab the jug of stir fried squid and pour it onto the hot skillet. Voila! That familiar sizzling sound! 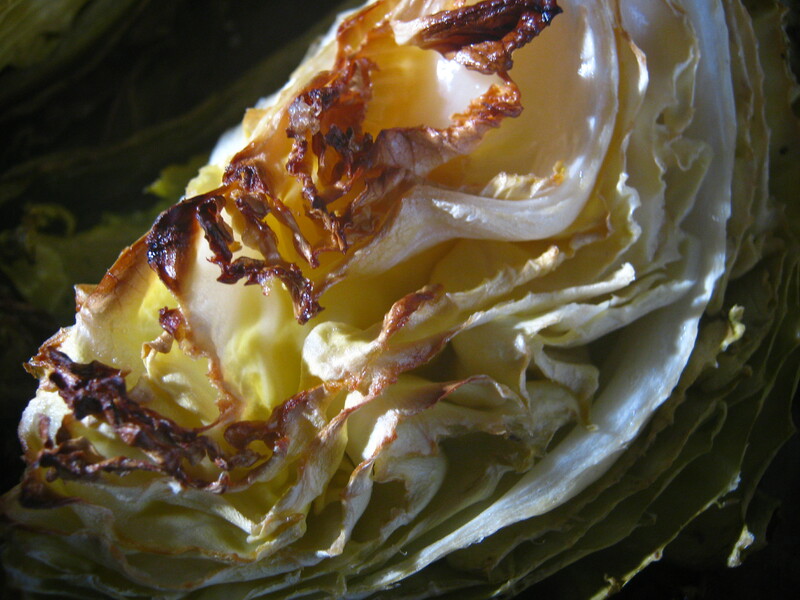 Pick it up and take it – sizzling and smelling divine – to the table as fast as you can. Observe the impressed look on your guest’s faces and keep schtum about how you did it! Serves 4 as part of a larger Chinese meal. 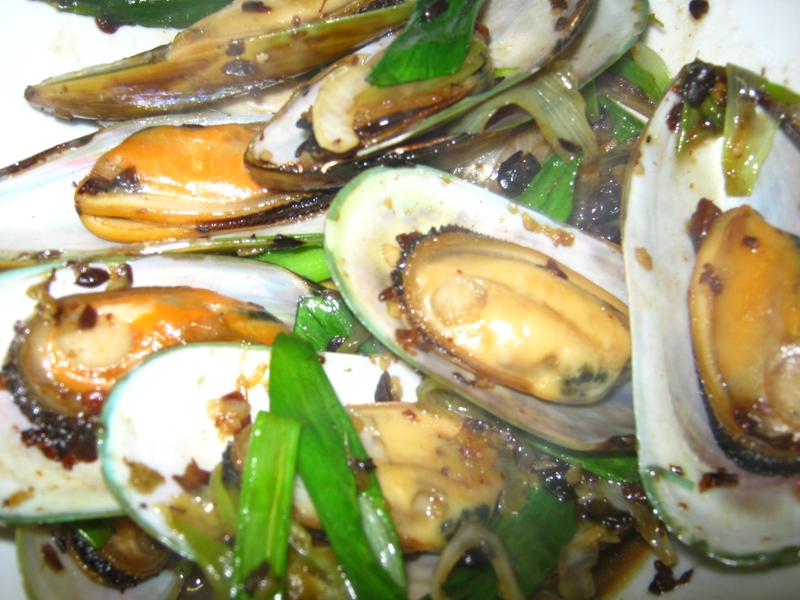 You could serve it with my Sticky Ribs and Mussels in Black Bean Sauce (coming later this week)!